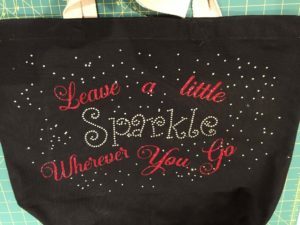 Frequently we want to add heat transfer vinyl (HTV) and/or rhinestones to our projects but find that seams, straps and other bulky areas can interfere with those products adhering properly. I like to use press pillows to help offset those bulky areas and make sure I get a good solid press. I just insert the pillow into the blank and press as usual. 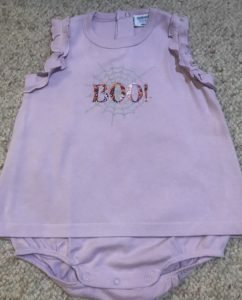 This cute one-piece girls outfit has a skirt on top of the body suit … and the button-up back would have made an impression in in the outfit when pressed …. press pillow to the rescue! I slipped it between the skirt and the body suit and pressing was a breeze! So, how can you create your own press pillows?? All you need are some teflon press sheets and 1/2″ high density foam. I bought a package of 5 teflon press sheets on Amazon. 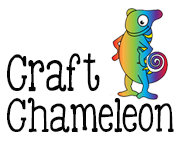 Their 16″x 20″ size made them perfect for creating several press pillows. 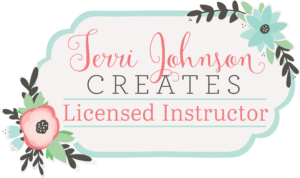 I ordered mine several months ago, and when I checked before writing this blog, I found 16″ x 24″ multi-packages as well. I decided that I definitely wanted a 16″ x 16″ press pillow for working with large pillow covers and tote bags. 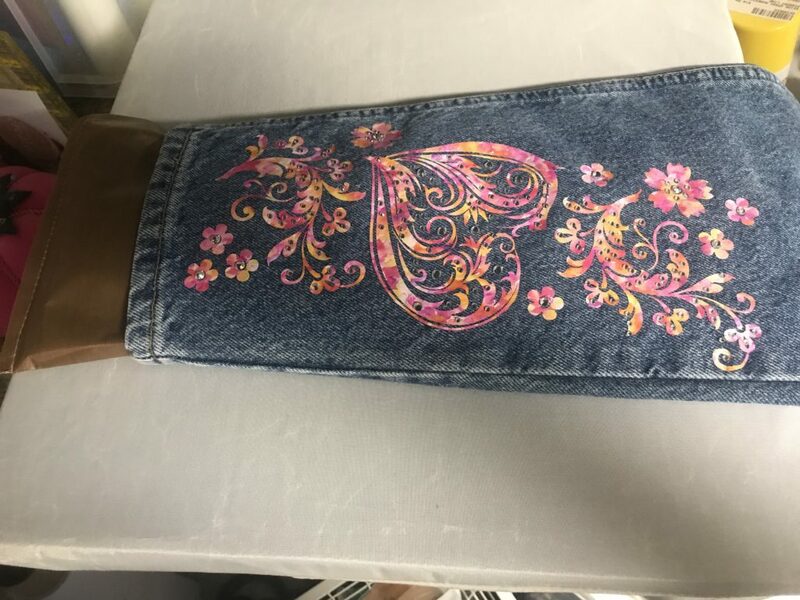 I also wanted a long pillow for use with pant legs and decided to create a 6.5″ x 16″ press pillow. I also wanted 8″x 8″ and 5″ x 5″ sizes. Finally, I wanted an 11″ x 11″ pillow. Where I was able, I used a long strip of teflon and folded it over so I would only have to sew three sides. 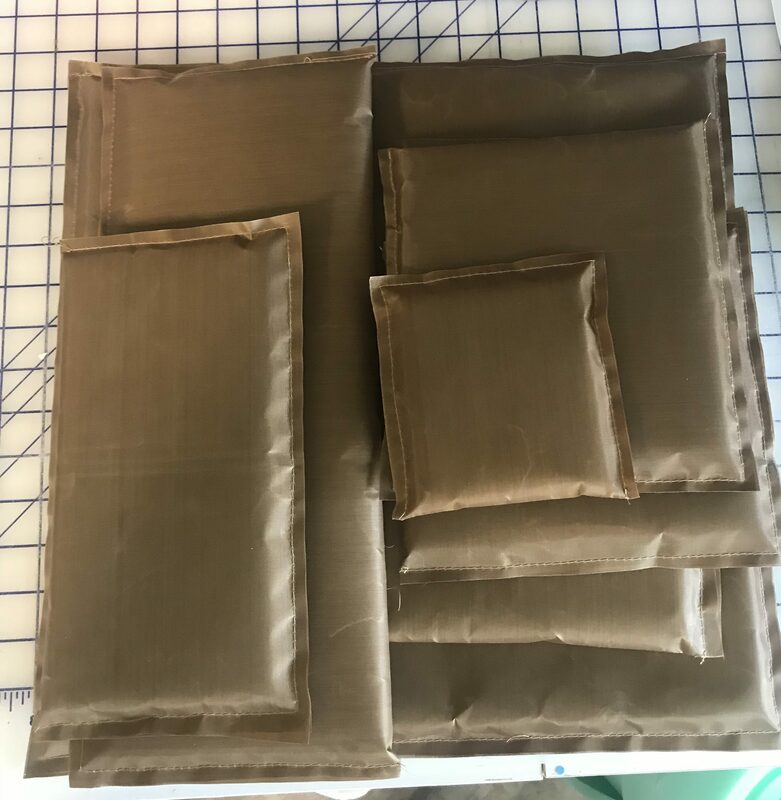 After I created these sizes by cutting the teflon sheets to size, I used the excess pieces to create additional press pillows in a variety of sizes. I used 4 of the sheets in my package and wound up with these sizes: 4×4, 5×5, 5×11.5, 8×8, 8×7, 6.5×16, 11×11 and 16×16. 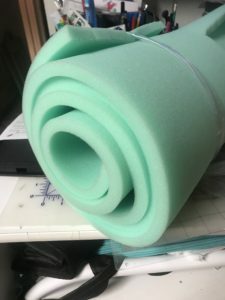 I used 1/2″ high density foam I purchased at JoAnn Fabrics. It was 24″ wide and available by the yard. It was $14.99 a yard and I used a 40% off coupon. When I cut the first foam insert, I cut it 1/2″ smaller than the teflon pieces (to allow for the 1/4″ seams). For example, I cut a 6×12 piece of teflon and a 5.5×5.5 insert. I folded the teflon in half and sewed two of the sides, then inserted the foam. That’s when I discovered I had forgotten to allow for the thickness of the foam and that my insert was too large. I trimmed it down by an extra 1/4″ on two sides and it fit perfectly. I used a heavy duty cotton thread (30 wt) in the needle and the bobbin and a straight stitch. 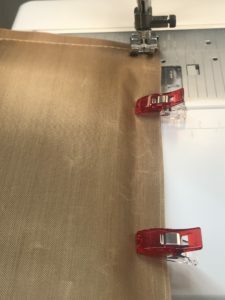 I increased the stitch length to 4.0. If one side of the pillow was folded, I sewed two of the other sides, then slipped the foam inside the pocket and sewed the remaining side. I used a 1/4″ seam allowance. Because the teflon is slippery, I found it helpful to use Clover Wonder Clips to hold the sides together for sewing. 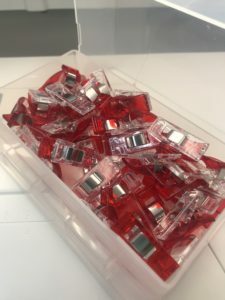 These come in a variety of sizes and are great for so many things! Here’s my stack of finished press pillows … it took about 45 minutes from start to finish … and that includes deciding what sizes I wanted, cutting and sewing. Best of all, my cost was under $20. Next Next post: Fun with Fabric … Flowers!! You said the foam cost $14.99 a yard. How much was the pkg of teflon sheets? The teflon sheets were $9.99.